FRETTO INDUSTRIAL CLEANING HAS BOTH THE BRAINS AND BRAWN TO GET THE JOB DONE! At Fretto Industrial Cleaning, safety of our clients and employees are number one. Our highly skilled employees work hard to provide top notch service, so we make sure they are safe while doing so. 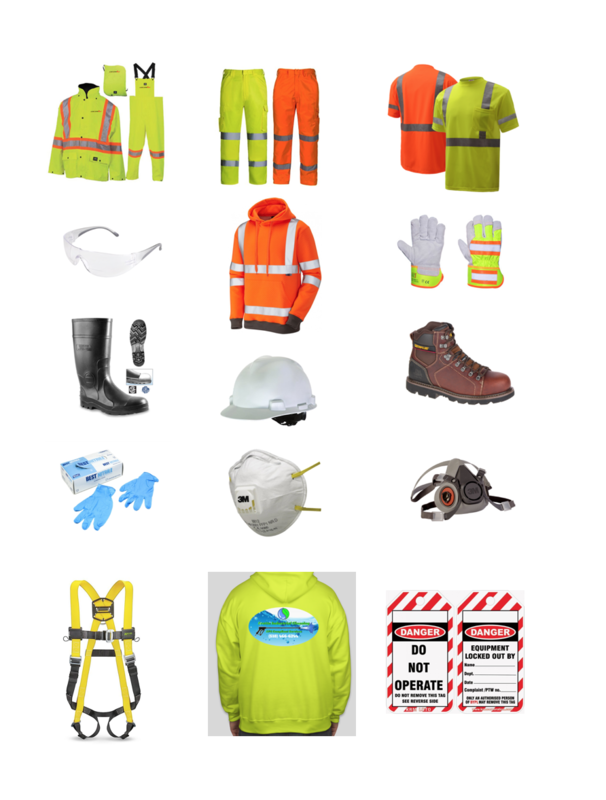 We make it mandatory for our crew to be dressed in the appropriate safety gear for each job site. • Safety harness for working on the scissor lift. All Fretto Industrial Cleaning employees are OSHA 10 Certified and perform Lock Out Tag Out procedures. Lock Out Tag Out ensures multiple stages of assurance that machines are properly shut off and are not able to be started again prior to the completion of maintenance or service work.